The eco wood handle has been tried and tested and will last for the life of the knife. 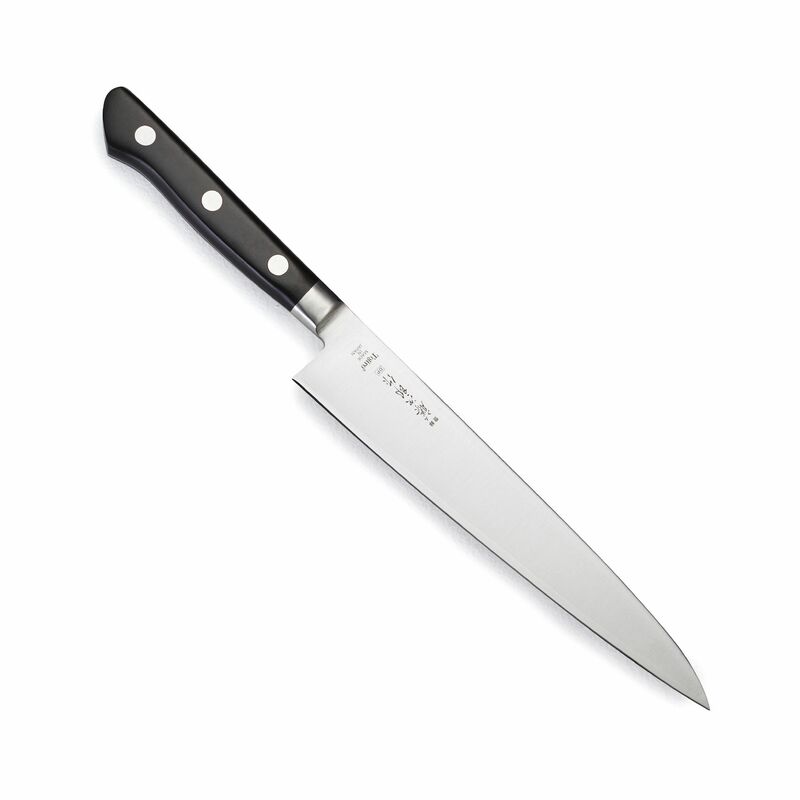 Petty is the Japanese version of the paring knife with a slightly more pronounced heel. It is used for peeling and chopping fruit and vegetables. Handle length 110mm / 4.2"
Blade length 180mm / 7"